One of our latest test bikes to come through the RBA office is the Norco​ Search XR Ultegra. Take a look at this video to see what we liked about the Norco and the terrain it’s capable of handling. Look for the full break down test & review in an upcoming RBA magazine. Norco did a beautiful paint job on their Search XR. With a dual front chain ring you also get a chain catcher which helps with the rough riding your bound to do on the Search. We tested 40c tires and from the room still available you can go much larger which is a plus. The rubber boot helps prevent any water or dirt from getting inside the frame. 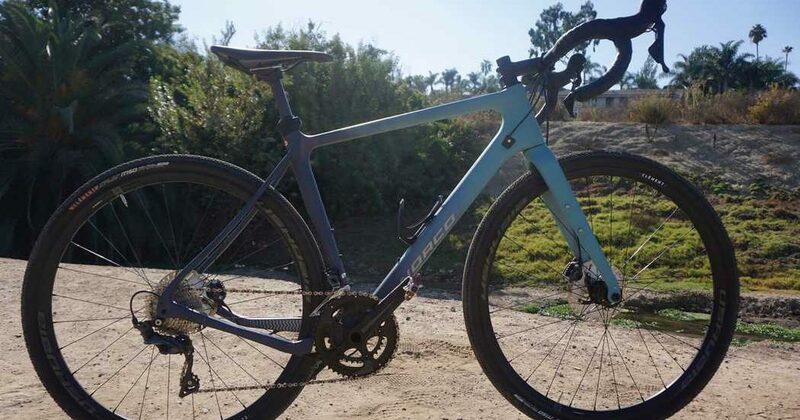 No rear triangle bridge which offers a nice clean look for the disc brake Search. If your looking to add fenders or racks there’s plenty of mounts available. Shimano Ultegra hydraulic brakes with 160mm rotors. The dual front Praxis Zayante 48/32T. Listed price for the Norco Search XR Ultegra is at $3799 on their site.